As many of us have watched with great concern this week as Hurricane Harvey has caused so much damage and devastation in the state of Texas, we feel compelled to get involved. We are fortunate to live in a prosperous nation with tremendously generous people who are willing to help and Modern Office Methods (MOM) wants to do our part. MOM will donate 1% of our hardware and solutions revenues sold between Monday, August 28 and Saturday, September 30 to support the American Red Cross relief efforts. They have stated they are sending 100% of the donations earmarked for Hurricane Harvey relief efforts to those in need. If any of our new clients, signing during the designated timeframe above, would like to join in with a donation to the American Red Cross of up to 1% of their contract value, MOM will match those donations as well. Every little bit helps, so thanks for considering making a contribution to help those in need in South Texas. 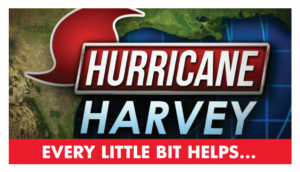 For more information, please contact us at info@momnet.com or visit our website, www.momnet.com/HurricaneHarvey.